This conference will take place 24 September - 02 October 2019. 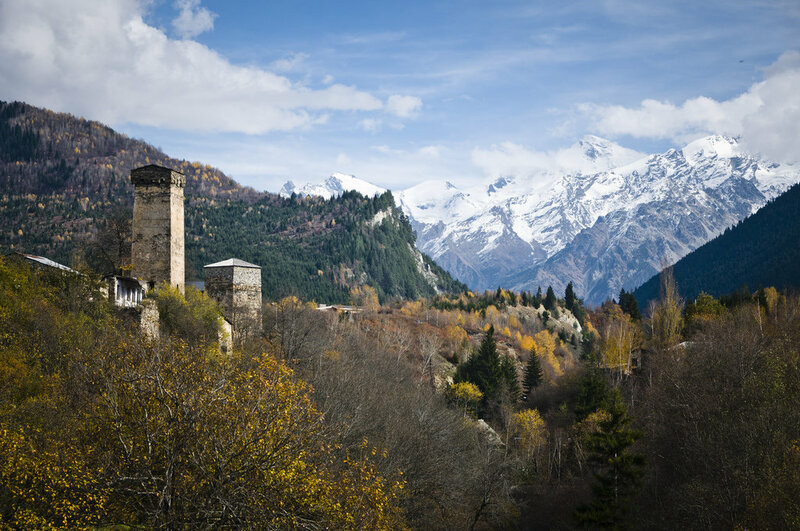 Svaneti, located in the Greater Caucasus Mountains, is the homeland of the Svan people. The conference begins and ends in Tbilisi, Georgia’s capital city. Tbilsii lies on the ancient Silk Road between Asia and the Mediterranean and has long been a meeting place for cultures. Delegates will explore Tbilisi’s rich historical tapestry, including its exquisite Medieval old town. They will also visit the nearby ancient city of Mtskheta, home to Svetitskhoveli Cathedral and Jvari Monastery. The conference group will also travel to Ushguli, which at an altitude of 2100 meters above sea level is among the highest settlements in Europe. Previous conferences in this series have been held on remote islands (Shetland’s North Isles, 2014), in a hyper-dense city-state (Macau, 2015), and in the polar night (Svalbard, 2017). In 2019, the conference will go farther and higher than ever before, venturing up into the wild mountain valleys of and ancient cities of Georgia, a country at the crossroads of East and West. Presentations are welcome on all aspects of of either folk belief or the supernatural in literature and film, though we encourage delegates to address the theme of the role of place in conceptions of the supernatural. Presentations last 15 minutes and will be followed by around 5 minutes’ question time. Note that, due to the remote location of the conference, audio-visual aids will not be available for presentations. The first deadline for abstracts is 30 September 2018. Later abstracts may be accepted if there is room available at the conference, but people who submit an abstract prior to the deadline will have the first opportunity to reserve a spot and to take advantage of the early registration rate. You can submit your abstract here. The deadline for early registration is 30 November 2018. If you have any questions, please e-mail convenor Sally Campbell Galman (sally@educ.umass.edu).